My favorite thing about the slow winter months is that it gives us a chance to catch up, reflect, and also prepare for the next season. It also gives us a chance to finish projects that have been sitting on the back-burner during the busy summer season when client work is the priority. Nicki and Josh were one of the couples that I got to photograph at Alpine Northwest last June. I've been wanting to edit and share these images for some time, but the summer months just wouldn't allow for it. I only had a few minutes with Nicki and Josh, but I really loved the images that what we created in that short period of time together. These guys not only have an amazing connection, but they brought so much positive energy to the shoot and just had fun with it! I think they are a great example of what we can create together when you simply let go and allow yourself to just have fun during your engagement session. We created these images in a matter of minutes and without any time to really get to know each other - imagine the possibilities when we have a connection and you give me a whole hour. 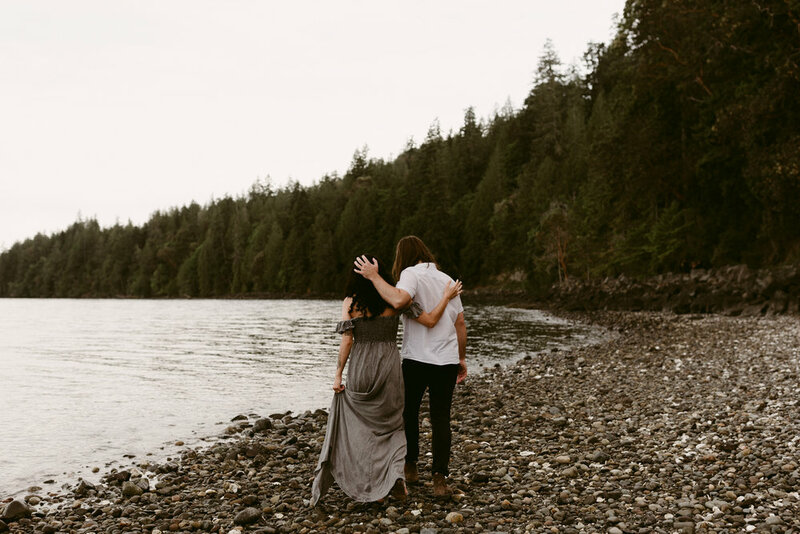 Here are my favorite photos from our 2 minute mini session on the Hood Canal.